You won't want to miss our next Farmers' Circle! 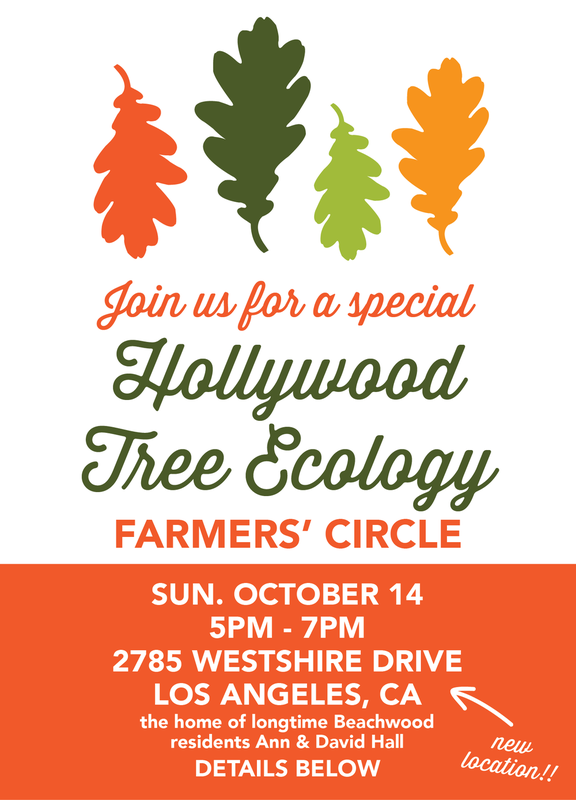 Join us on the evening of Sunday, October 14 at 5:00 PM for our Hollywood Tree Ecology Farmers' Circle with arborist, musician, and all around eco-enthusiast, Gary Knowlton. Gary led our Oak Ecology Farmers’ Circle in July, and we had such a great time we knew we needed to have him back. This time we’ll discuss an ecological based approach to both restoring some of the native ecology, while also incorporating more fruit trees. Light refreshments will be served, but please feel free to bring something to share. Please note the new location for this event. Parking is limited on Westshire Drive. If you must park, it's best to park on Beachwood Drive and walk up. It's just a quick walk from the cafe and market.